Mike Ullery | Daily Call The Piqua Civic Band performs a Christmas Concert at the Westminster Presbyterian Church in Piqua on Sunday. 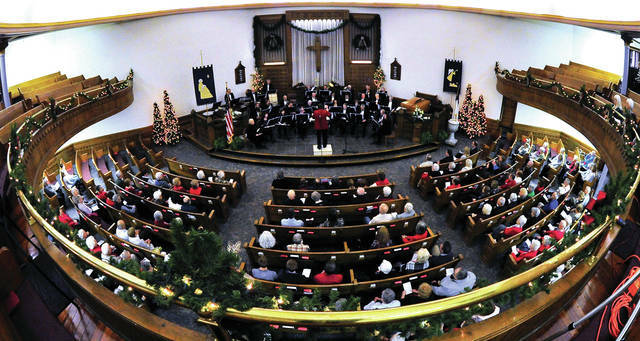 The Piqua Civic Band performs a Christmas Concert at the Westminster Presbyterian Church in Piqua on Sunday. https://www.dailycall.com/wp-content/uploads/sites/30/2018/12/web1_120218mju_piqua_civicband-1.jpgMike Ullery | Daily Call The Piqua Civic Band performs a Christmas Concert at the Westminster Presbyterian Church in Piqua on Sunday.